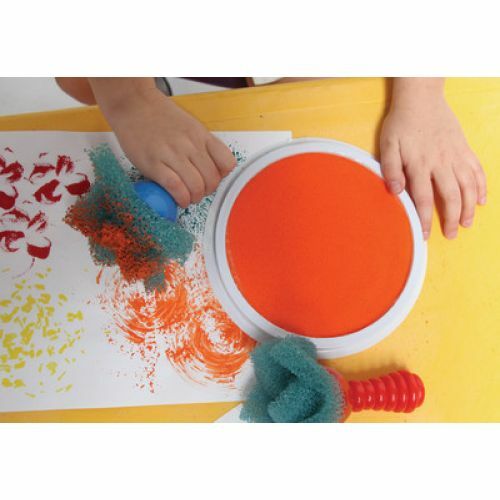 Children can create wonderful effects with every dab and/or stroke of these terrific art tools. Each of the 4 tools has a unique texture, so they can experiment with lots of designs and just let their imaginations run wild. 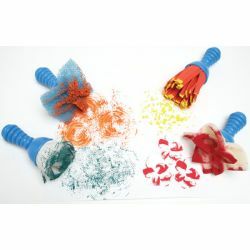 Each tool has a fun, plastic handle that holds the foam strips, crinkly sponge, chamois or gathered soft foam.